Tie One On Blog Hop with Blue Nickel Studios! 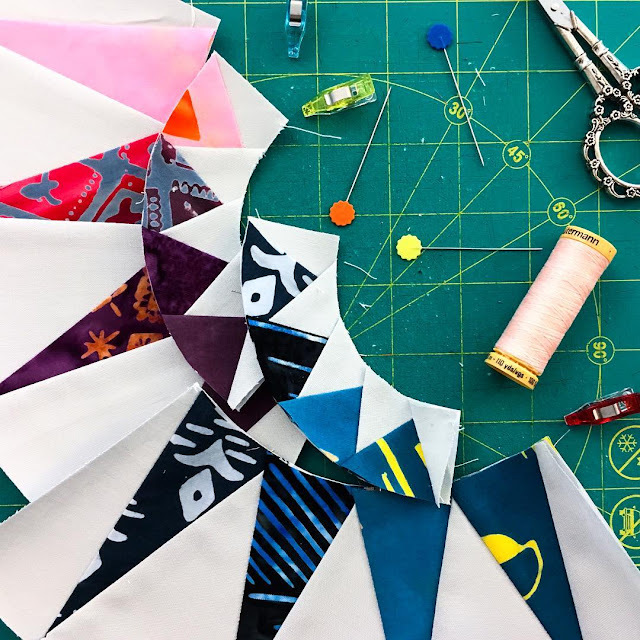 I am so excited and a few days late for the wonderful Tie One On Blog Hop for Scott Hansen's new fabric line for Banyan Batiks! Scott and I met in 2012 and have been friends ever since. He is the kind of quirky that is just so endearing to everyone! When he shared that he was a fabric designer, it was the best news ever! To be part of his blog hop celebrating the release of this stunning line of Batiks is quite thrilling! I mean...really...check these beauties out! Projects are always an issue for me because the brain inmy head NEVER STOPS! What I wanted to show the most was how not muddy the colors are in these batiks. They are bright and depp and rich and oh so stunning! Finally, it came time that I HAD to make something and there was only one way to show the world the beauy of these fabrics ( hint hint). I could not resist sharing a little sneak peek of my project that is on my sewing table now! 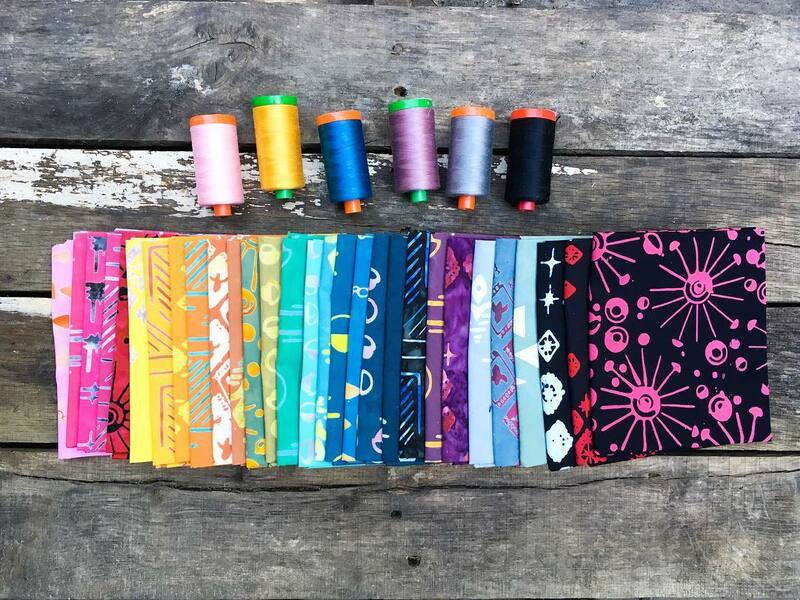 Remember each of them will be choosing one winner of a fantastic bundle of Tie One On Fat Quarters! Project looks pretty so far. Lucky you, getting to play with Scott's fabric! I know what you are making and I cannot wait to see it! Love this fabric line and all the fab colors! What beautiful colors, clear and bright! Looking forward to seeing your completed project! Your quilt is going to be beautiful! The fabric makes it dance! The New York Beauty block looks great with those fabrics! I just love these fabrics and colorways! I love NYB blocks - looking forward to seeing this finished! Have fun! You have my attention! Can’t wait to see more. Way to make these great colors pop. It looks fabulous. 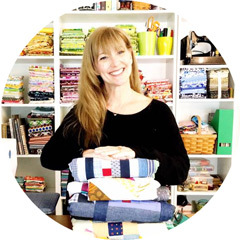 I loved the strip bells and the other projects you are working on with Scotts fabrics. His fabrics are wonderful and you make good use of their beauty. Your project looks great already! I can’t wait to see the finished project.